 Humania BPO is a Canadian company specializing in international customer service management and outsourcing with offices in North America (Canada), Europe (France) and Africa (Morocco and Madagascar). It offers unparalleled expertise by leveraging its French, English, Spanish and German speaking customer experience consultants. Call center management, outsourcing administrative support services, strategic and tactical customer experience consulting, operational optimization: Humania BPO supports companies of various sizes in different sectors with integrated customer service management services. Humania BPO strives to help clients master their customer service management. Humania BPO's unique turnkey services are designed to be adapted to each client with made-to-measure follow-up strategies and consulting services at every step of the customer support process. Ongoing consultation throughout the process. Customer service is central to all businesses nowadays, from start-ups and retail companies with online sales to insurance companies and many others. Outsourcing is everywhere. Humania BPO helps companies learn to adapt customer experience in their own way, at their own pace and in line with their needs, in various markets and in any time zone. A clearer view of customer service costs. Presence in all time zones.